Jesus understands how difficult it is to build a consistent prayer life, beyond those emergency life-or-death situations that provide us with plenty of motivation to pray. He identifies with us in our struggles because He has been there and experienced many of them, though He Himself was without sin. The struggle though was real! 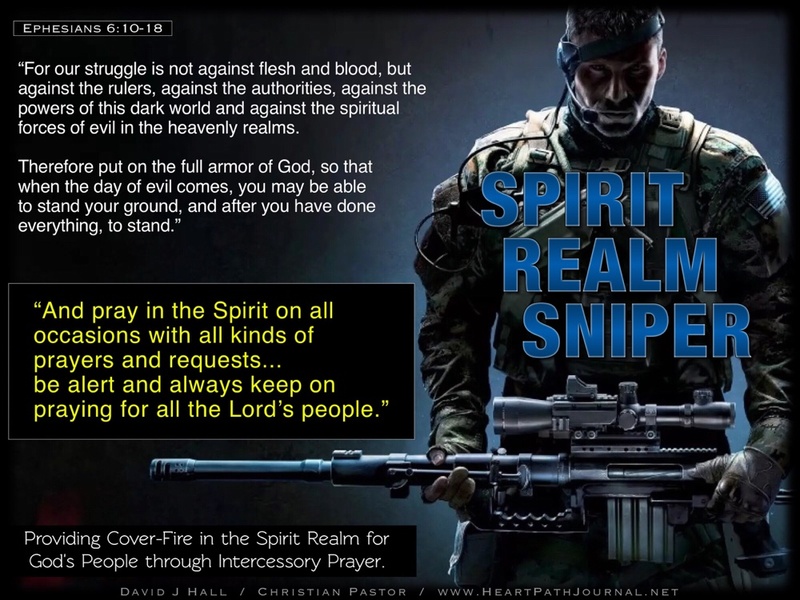 The Kingdom of God is recruiting men and women of any age to be Spirit Realm Snipers who serve as specialists in providing cover-fire for God’s people through intercessory prayer. “For our struggle is not against flesh and blood, but against the rulers, against the authorities, against the powers of this dark world and against the spiritual forces of evil in the heavenly realms. The Boot Camp training takes place wherever your knees can hit the ground in prayer. The Training Manual is the Bible. The Instructor is the Holy Spirit. The Weapons that you will be using as a professional operator are not of this world, but are mighty through God. The Theatre of Operations is the spirit realm of the heavens and the whole earth. The Mission is to intercede on behalf of God’s people whom the Holy Spirit will bring into your field of vision, providing cover-fire for them, protecting them from the enemy through praying in the Name and Authority of the Son of God, Jesus Christ.